Daniel Gregory is the founder and CEO of The Impossible Institute™, a Behavioral Think Tank that advises organizations on what truly drives their customers, their teams and themselves. Creativity, collaboration, culture, change, innovation, sales, marketing and leadership are only a handful of topics Dan has tackled for corporations, small business associations, government departments and NGOs . He also regularly advises the C-Suite and Boards on how to lead with the power of a purposeful and compelling identity in a rapidly changing world. In a 20 year history as a thought leader in human behaviour, marketing, NPD and communications, Dan Gregory has worked with the biggest global brands and won awards around the world for creativity, effectiveness and ROI. In terms of accolades not much has changed as clients continue to rave about his innovative, creative presentations delivered with intelligence and humour. 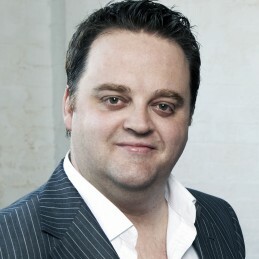 His experience on the ABC’s TV’s The Gruen Transfer and time spent the US and UK as a stand-up comedian mean his delivery and timing is impeccable and his experience and depth of knowledge mean there are few topics Dan can’t bring his focus to. His keynotes and workshops are supported with hours of research and some of the sharpest humour the speaking industry has seen. “What ever success we experience in life is directly linked to our understanding of human behavior.” – DAN GREGORY. So what drives human behaviour? What makes us follow? What makes us buy? What makes us buy in? What makes us strive and cooperate and perform? These are the questions Dan Gregory has spent a lifetime studying. The answers are critical no matter what part of business we work in. Daniel strives to motivate sales and marketing teams and give them a more insight-driven focus on their customers. He will help your team understand what drives their performance and how they can make small changed that yield big results and frame innovation as a leadership skill – the defining of an entire industry.